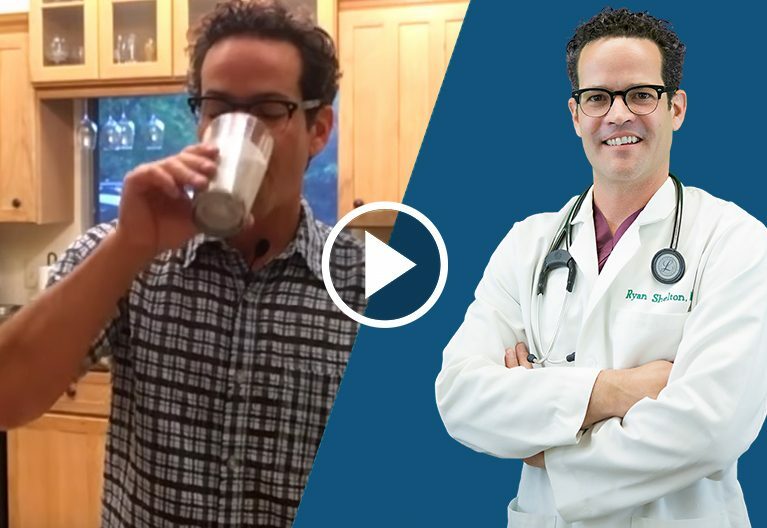 If you want to lose weight and lose weight fast, here’s a superfood weight loss smoothie that can help you do it in no time at all. Drink it at least once a day, if not twice a day, and start to see results. 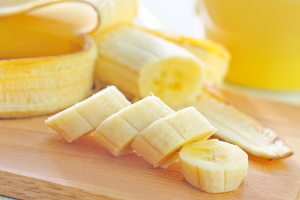 This smoothie for weight loss, energy boost, and detoxification cannot be beaten! What’s in this Superfoods Weight Loss Smoothie? The recipe starts out with half an avocado. 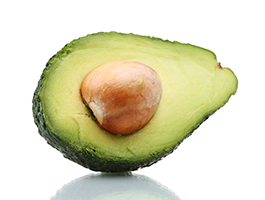 Avocado is a wonderful source of fiber, monounsaturated fats (so it helps you feel full), potassium, and minerals. It’s a superfood in itself for sure! Then, we add a banana. Unlike other weight loss smoothies out there, this one not only helps you lose weight, but it also helps with energy levels and liver detoxification. The next ingredient is berries. Frozen berries are preferable, but you can use fresh berries. 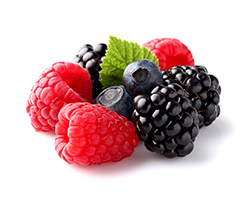 Any type of berries will do – strawberries, blackberries, blueberries, or raspberries. With frozen berries, the freezing process actually helps to break down the cellular walls, making those antioxidants, proanthocyanidins, and all those powerful nutrients in those dark berries more bioavailable. This means they are absorbed into the body more easily. The next ingredient here is about two tablespoons of almond butter. 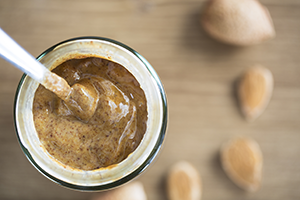 You can use peanut butter, but almond butter has more vitamin E, more selenium, and a better profile of healthy fats. Did you know that you actually cannot lose weight without healthy fats like omega-three fatty acids? This recipe contains two different seeds that are rich in these healthy fats. Chia seeds are a great source of omega-three fatty acids and fiber that will aid you in your weight loss goals. 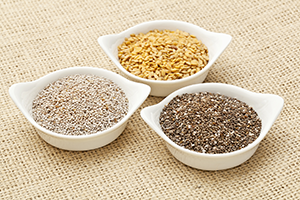 Flaxseed is another great source of omega-three fatty acids, plus fiber and lignans. For the liquids, we have coconut milk. 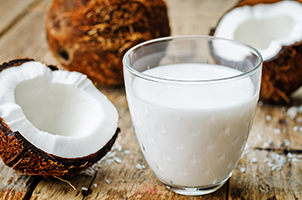 Coconut milk is high in something called “medium chain triglycerides” (or MCT). Medium chain triglycerides have been shown to help people lose weight, feel more full, and help the liver to process fat. 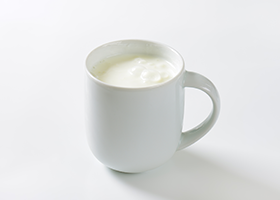 You can use yogurt but this recipe calls for Kefir because it has higher amounts of healthy probiotics than yogurt. Recent studies have shown a clear relationship between healthy bacteria growing in the gut and its disparity to the development of obesity. Obese patients and clients of mine have a different gut bacteria culture growing than those who are thinner. Kefir is great because it’s power-charged with probiotics that support healthy bacteria in your gut. Herbal blend using a number of herbs which help to detoxify the liver. 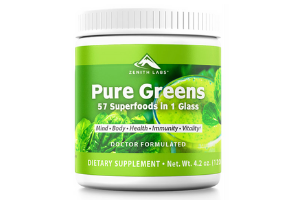 Fruit and vegetable blend providing those powerful antioxidants to help with weight loss and energy levels. Probiotic blend to help support the existing probiotics in either the yogurt or the Kefir that you eat. Mushroom blend to support the immune system and energy levels. Enzyme blend to support the digestive process. You can use this superfood weight loss smoothie as a meal replacement for breakfast, if not breakfast and lunch. Combined with a healthy diet, movement, or exercise program, you will lose weight! We also have another smoothie specifically targeted for individuals with diabetes. 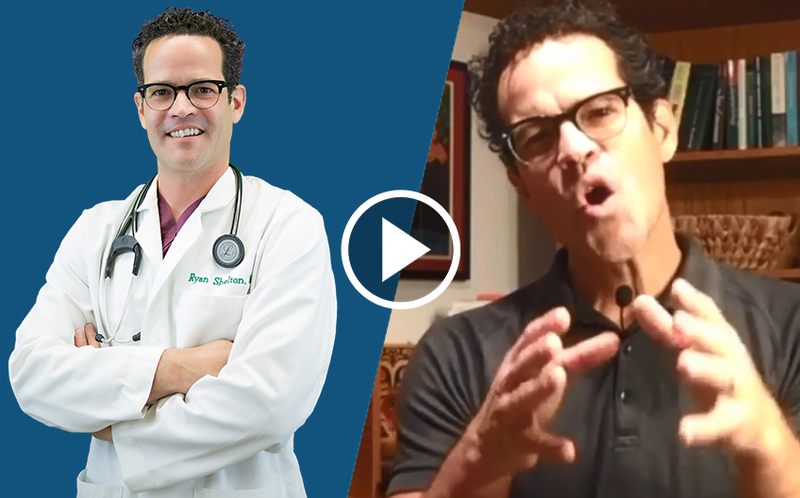 Check that out if you, or your friends, or any loved ones have diabetes. Thanks so much for tuning in. Make sure to like us. Hit the bell, subscribe to notifications, share it with your friends. Tune in again. 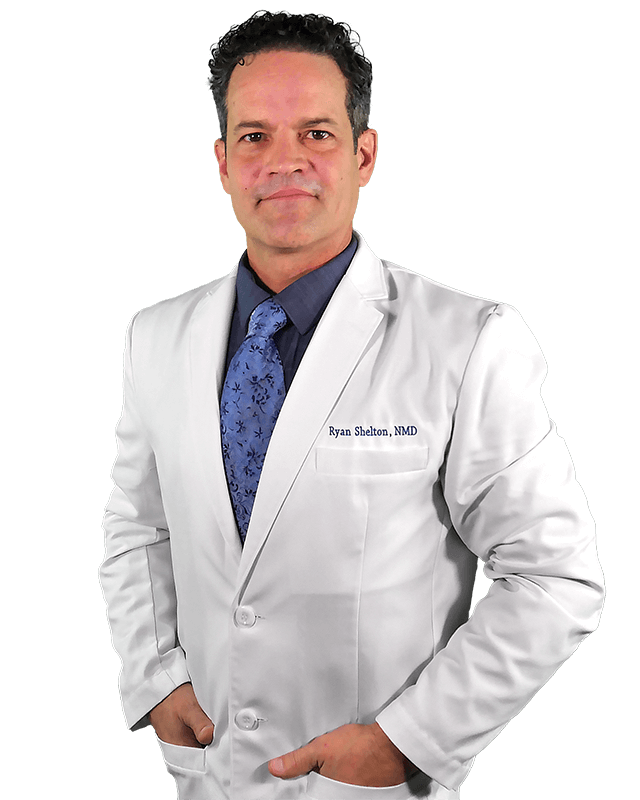 My name is Dr. Ryan Shelton, I believe in the original meaning of the word doctor, which is as teacher. 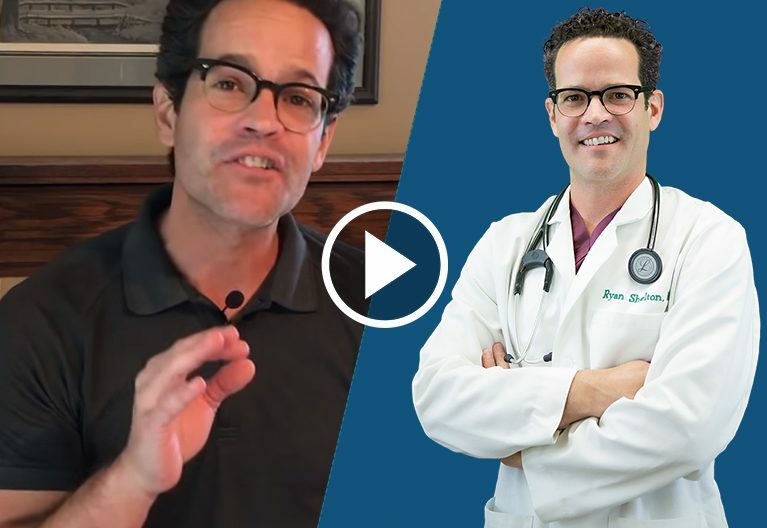 We’ve made this channel to make sure that you’re educated about your health, well being, and wellness. 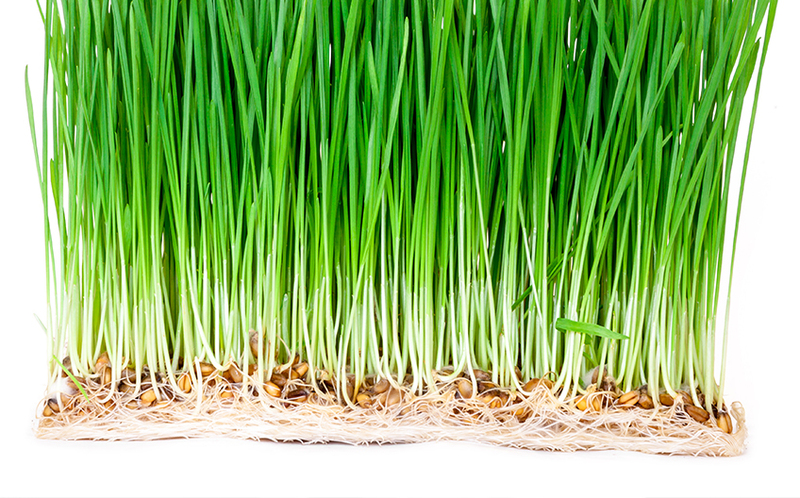 What is Wheatgrass and Why Should You Care?